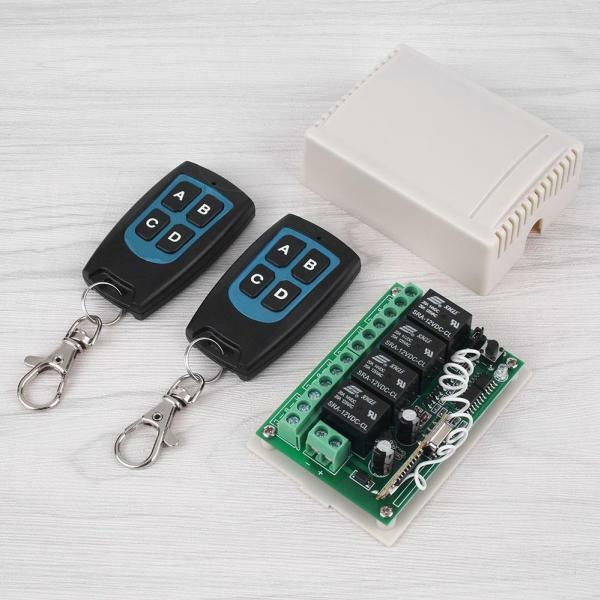 (1) Mainly used in: remote control electric doors, windows, switches, security,or other lightingandindustrial control. (3) can be used to change the workignway via jumper cap. Self-lock, jog, inter-lock output. (4) High sensitivity receiver, remote control distancereach 50-100 meters or more. (5) Using high-capacity relay,can controlkilowatts of electrical equipment. (6) Wireless coding technology, no direction, non-interfering. 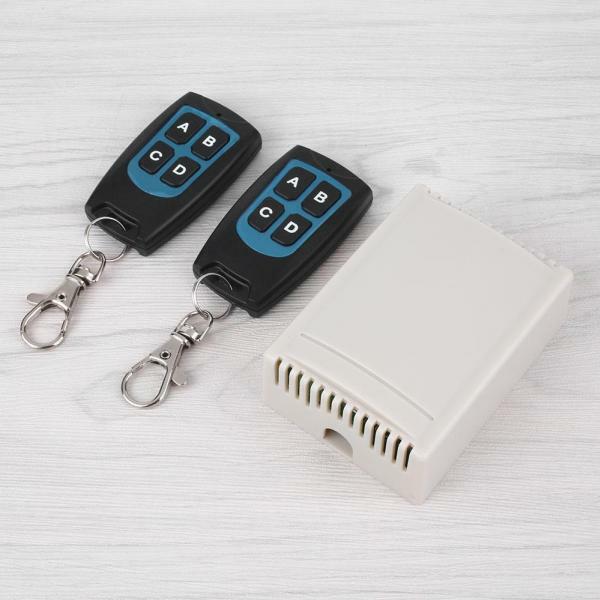 Application: from simple domestic remote control to autonomous control, like auto door, window, lifting equipment, entrance access, up and down controller, alarm system industrial control and security etc. 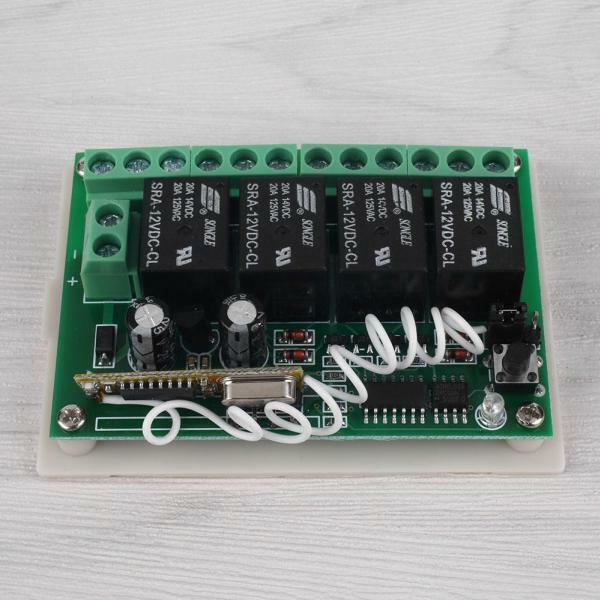 Learning code wireless remote control switch(receiver). The output way /working way can be changed as you like: Jog, Inter-lock, Self-lock.